If your child shrinks in horror at the very sight, smell or thought of a particular food or group of foods it can be very confusing and upsetting. As parents and carers for our children we want to nurture them and food is a key part of that. This is a complex area and there is no magic bullet, but here are my five tips to help your child breakthrough food related fears. Try to work out what’s going on for your child. 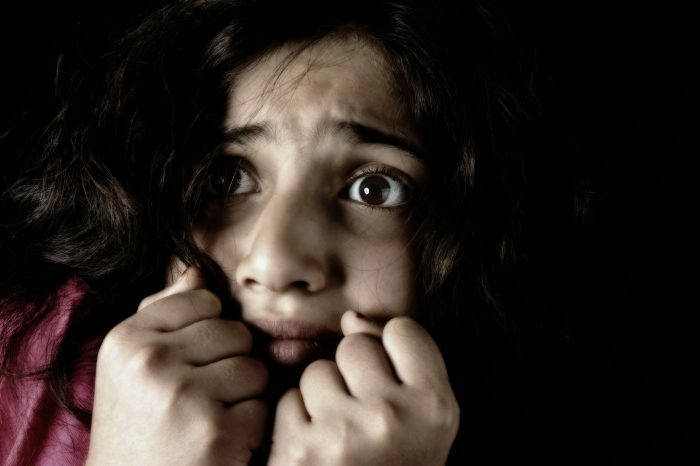 The root of the fear is different for each child. Is there a possibility that your child’s difficulties might be linked to a previous traumatic experience or repeated traumatic experiences? Perhaps they have had a severe illness or accident or maybe you had to give them some very bad news. If your child came to you from the care system then they may have experienced repeated traumatic incidents. Foods that were being eaten or cooked at the time a trauma occurred can become deeply connected to the trauma. The thought, sight or smell of the food never mind the taste may trigger the traumatic experience over and over. Under these circumstances it is not surprising that an aversion to the food or group of foods might occur. If your child’s issue are not likely to be linked to trauma then ask yourself if they seem to display unusual anxiety around other issues as well as food. Do they have any rituals that seem unusual? Arranging their pens in a specific way before homework, needing the bed linen or pillows to be arranged in a specific form before trying to sleep, cutting food into tiny pieces before eating it are all examples. This may all just be something your child will grow out of but these sorts of behaviours can be linked with anxiety disorders for which there are very good treatments. So make sure you let your doctor know what you have noticed. Does your child seem to experience the sensory aspects of food and indeed other parts of life in an unusual way? For example do they exclaim that a food you would find quite bland is really “spicy” or “minty” or vice versa. Do they seem to stick to foods of a particular colour, texture or temperature? Do they turn the heating up and sit on top of the radiator when you think it’s already pretty warm or vice versa? Do they hate the feel of labels in their clothes or crave clothes with specific textures. If you notice these things it may be that your child has some issues with sensory integration. This simply means that they experience the world through their senses differently. These issues can be linked with various neurodevelopmental conditions like autism and ADHD. Sensory issues are also seen in children who who have attachment difficulties. Attachment is a term used to describe the emotional connection between a child and their primary care givers. Broken or damaged attachment in a child’s early years can have an impact over a long time-span even once the child is in a loving, supportive family where care-givers are doing all they can to build a strong attachment. Collect as much information as you can about what you observe, as it will help you get help and ensure you get the most appropriate help. 2. Talk it through with your family doctor. Now I know that many of you have already done this and you might have been told that there isn’t much that can be done. However if your doctor has a record of your specific observations and your reports of progress or lack of progress over time they will be able to build up more of a picture. They will then be better able to refer you on to relevant help. Don’t forget to let your doctor know if you have noticed significant weight loss or if your child’s growth seems to have slowed down. 3. Help your child accept and cope with their anxiety. If you do think that anxiety is an issue remember that telling your child that there is nothing to worry about is not going to help. It’s more effective to acknowledge their fear and help them to accept it whilst gradually building up their experience of exposure to the source of their fear. Even if they eventually eat the food that they feared they will probably always experience some element of fear. It doesn’t go away but they can learn to live with it and cope with it positively. Some therapeutic help with this process can be really useful so do ask your doctor about a referral to a child psychologist. If your child was adopted from care don’t forget that you may be able to use the adoption support fund for this kind of therapy. 4. Think about the key food groups and check if your child is missing out completely or almost completely in relation to one particular food group. If this is the case it is really important to gently and sensitively try to help them add in some new foods from this group in order to ensure that they are getting a balanced diet The food groups are shown here. Make a list of foods from the group that seems to be the problem then make a picture board for your child of “foods to explore” It’s really important at this stage to use the word “explore” NOT “try.” The first step is for your child to be able to think about the food without becoming overwhelmed. Only then can they move to being in the room with the food, touching the food, moving it towards their lips and hopefully eventually tasting it. Even if your child is older you should still let them explore the food like a much younger child would. You should do this food exploration at a time when they would not normally eat. This is not something to do in the middle of a meal. Start with a really tiny piece of the food – about the size of a grain for a younger child or a pea for an older child. Once they have tasted a tiny portion of the food and declared it to be at least “ishy” or “ok” then gradually increase the portion until you get up to about ¼ of the amount you would want to serve if it was part of a meal. At this point you can start to think about adding the food to meals. Don’t be tempted to give the new food to your child every day. Start with once or twice a week and then go on to explore another food. 5. If the issues seem to be more about taste, texture, colour and temperature make a list of foods with similar characteristics to those already accepted. You can then go through the same process described above. Eventually you can expand more and more and move further away from your child’s narrow initial preferences. For example you might shift from crunchy foods like apple to crisp foods like toast or crackers. You might move from white foods like white bread and cauliflower to pale foods like sweetcorn and multigrain bread and so on. It’s a long process but worth it. A specialist Occupational Therapist and Dietitian can work together to help you with this. All this is just a starter. If you would like more detailed advice and support then please do get in touch. I run webinar programmes to support parents and carers of children who seem to be unusually faddy around food. I have experience of this as a mum to two super faddy eaters as well as my professional knowledge to share. Please make an enquiry here and I will keep you posted on all my resources. This entry was posted in Ages and Stages, Fussy eating in kids, Uncategorized and tagged anxiety, attachment, faddy eating, fear, trauma by Stephanie.fade. Bookmark the permalink.